It’s the most wonderful time of the year – and perhaps the busiest. 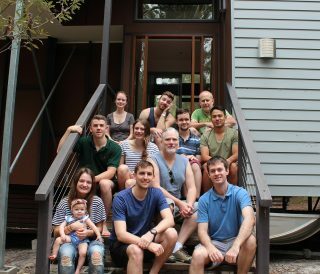 But that didn’t stop the BE Collective Brisbane team from downing tools, donning our recreational attire and heading up to Noosa North-Shore for a few nights. Our haunt of choice is Beach Road Holiday Homes, which boasts a collection of architecturally inspired homes, designed by some rather big names (including our friends at John Cameron Architects). Thursday, Friday and Saturday were packed with barbecue, drinks, beach cricket – even a rerun of Fast and the Furious, Tokyo Drift. Rest assured – it’s now all hands on deck up until the 19th, when our office closes for Christmas break.